L. Rudcki zdobył 300 punktów w 3 grach w kręgle. L. Rudcki scored 300 points in 3 bowling games. 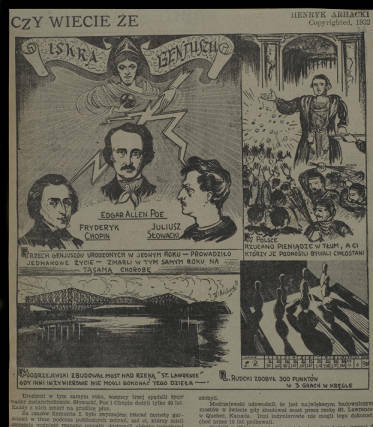 Archacki, Henry, 1907-1998, “Three heads and a lightning,” Digital Collections - University at Buffalo Libraries, accessed April 18, 2019, https://digital.lib.buffalo.edu/items/show/4017.